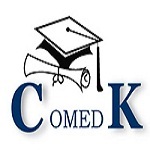 COMEDK UGET 2019 Syllabus is prescribed by the Association of Medical, Dental and Engineering Colleges (AMDEC). This exam is organized for providing admission to the undergraduate engineering courses offered by the affiliated institutions of COMEDK. From the year 2017, COMEDK UGET was not be conducted for medical exam. It will be only conducted for engineering courses. Admission into MBBS/BDS programme will be provided on the basis of NEET scores. Get COMEDK UGET Syllabus 2019 from here and aware yourself with every topic and chapter that will be asked in the examination. The COMEDK UGET 2019 examination covers the section of Physics, Chemistry and Mathematics. Those who are seeking for the engineering courses have to prepare the Physics, Chemistry and Mathematics subjects. Basically, the paper of COMEDK UGET 2019 consist of 10+2 standard. All the aspirants are suggested to prepare the above-mentioned subjects from your 10+2 books or refer syllabus of your intermediate/10+2/Second PUC. The physics syllabus consist of Alternating Current, Oscillations, Heat & Thermodynamics, Current & Electricity, Units of Measurement, Electromagnetic Induction, Motion in one, two & three dimensions, Kinetic Energy, thermal and chemical effects of currents, Ray Optics, Capacitance, Heat, and Thermodynamic, X-Ray, Wave Optics, Radioactivity, Simple Harmonic Motion, Gravitation, Principals of Communication, EM Waves, Elastic Kinetic Theory of Gases and Vector Motions. The chemistry section comprise of the chapters that include Transition of Metals, Bio-Molecules, Nuclear Chemistry, Electrochemistry, Polymers, Chemistry of Carbon Compounds, Organic Chemistry, Chemical Kinetics and chemistry in action, P Block Elements, Solid State, Coordination Compounds, Redox Reaction, Chemical Bonding, Alkanes, Alkenes and Alkynes, Chemical Equilibrium, Chemistry Thermodynamics, Aldehyde Ketone, Gaseous State, S-Block Element, Surface Chemistry, Periodic Classification of Elements, Solutions, Atomic Structure, Mole Concept & Electrochemistry. The mathematics section can be asked from Probability, Matrices & Determinants, Logarithmic Series, Differential Equation, Three Dimensional Geometry, Co-relation & Regression, Circles, Trigonometry, Co-ordinate Geometry, Vectors, and Calculus. In the section of English subject, the question can be asked from Comprehension passage, Structure of words, Phrases, Clauses and Sentences, Synonyms, Modals, Prepositions, Voice, Sequence of words, Rearrangement of Jumbled words, Determiners, Rule of Conjunctions, Sentence Completion, One-word Substitution & Tenses etc. Check here for COMEDK UGET Exam Pattern full details. The examination will be organized through online mode (computer based test). In the examination, total 180 questions will be asked. 60 questions from each subject will be asked from Physics, Chemistry and Mathematics subjects. The exam duration will be three hours. For a correct answer, one mark will be given to the candidates. No negative marking in the examination. For any further assistance regarding COMEDK UGET 2019 Syllabus, you may ask us by commenting below. By writing COMEDK 2018 exam,the students from other states like Tamilnadu,AP and kerala can compete for UG admission.Is there any quota for other states students? It is needed to study all syllabus. This is just for the reference. Sir, please give me the expected cut off of comedk 2017. Also, please provide the cut off of previous years. did you get all details of syllabus? From where can I download previous years comedk questions? If they are available online please provide me the link because I was unable to find it on google. And If it isn’t available online then where can i find it? yes you can check COMEDK Books from here. Time for 240 questions is how much *!#? and secondly what does 10+2 mean ? Sir..is it only 12th standard syllabus? ?…bt certain topics in the syllabus r included frm 11th standard!!.. comedk uget is based on 12th std syllabus (& not 11th n 12th). but i dont know whether all state boards have d same syllabii or they shuffle some chptrs frm 11th n 12th.